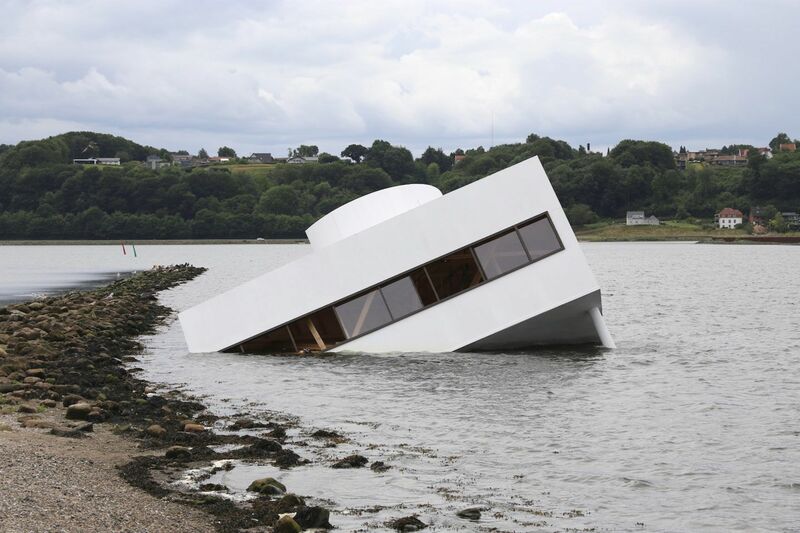 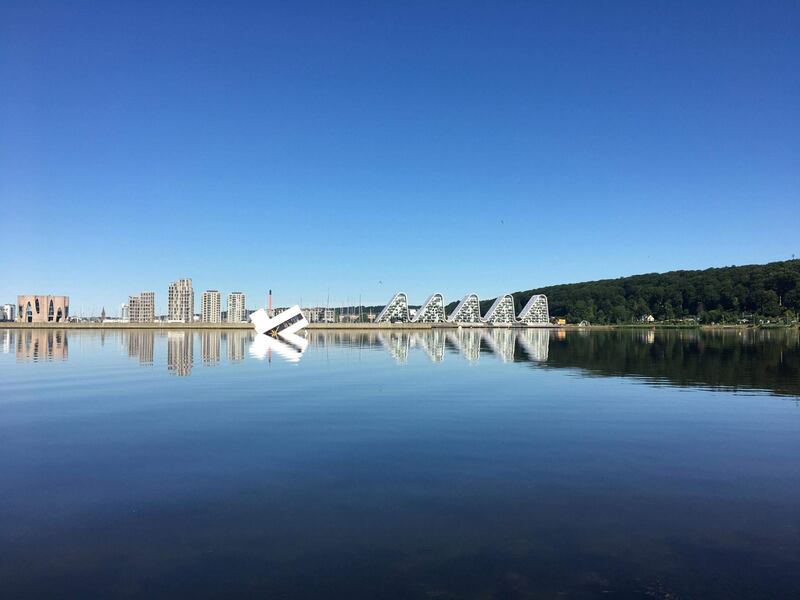 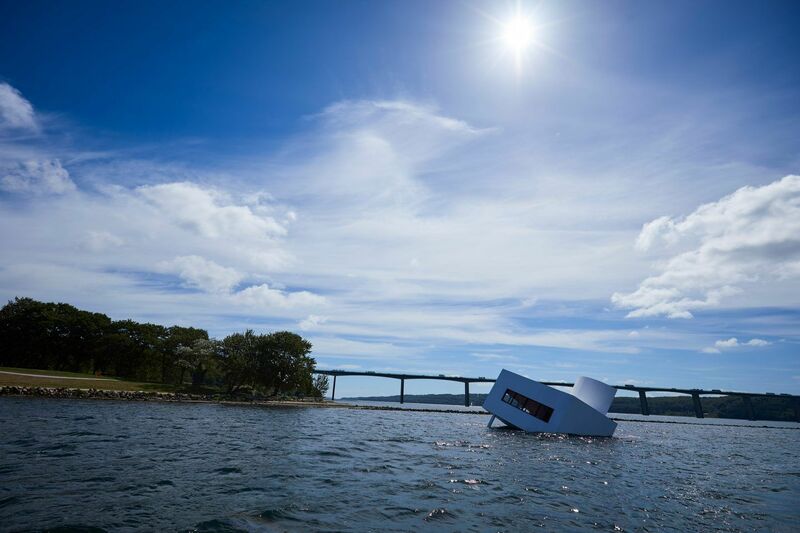 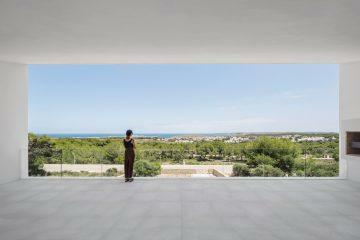 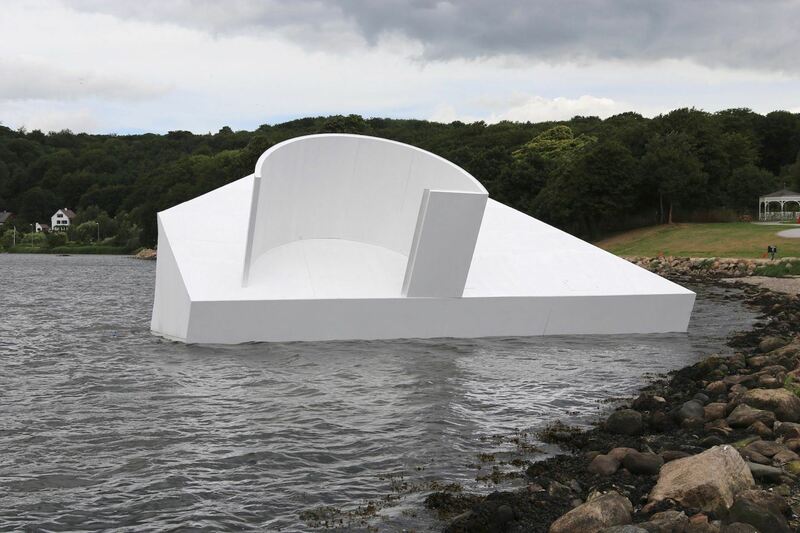 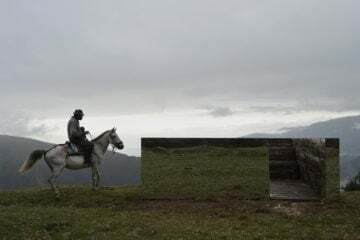 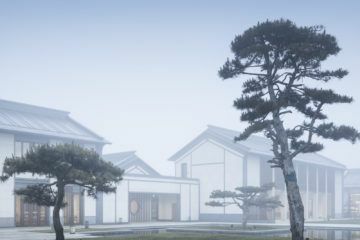 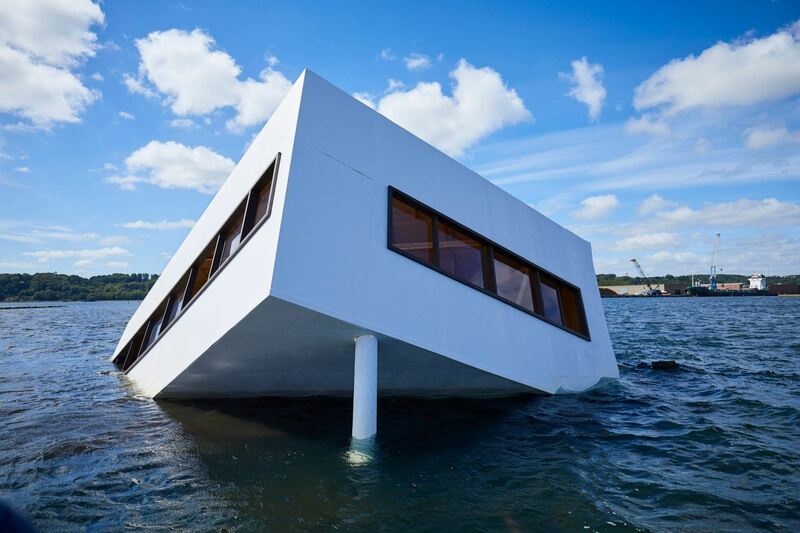 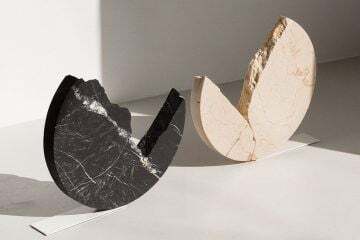 Whilst the real Villa Savoye stands under UNESCO protection as a world heritage site, in the Vejle fjord, Danish artist Asmund Havesteen-Mikkelsen has sunk a 1:1 replica of Le Corbusier’s masterpiece in his work ‘Flooded Modernity’. 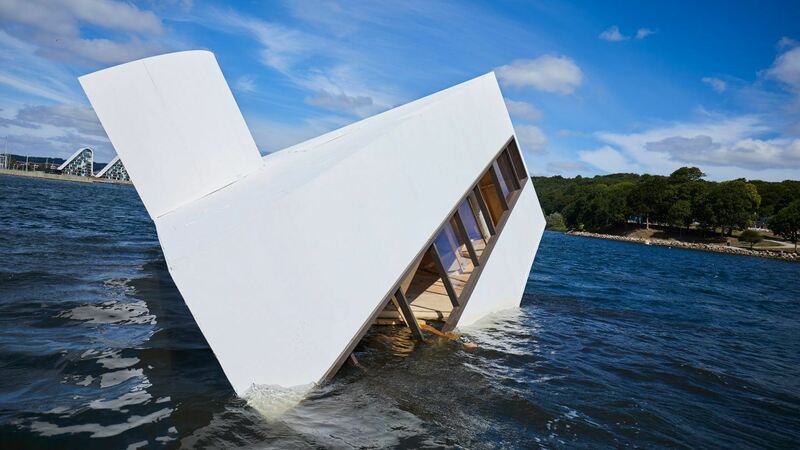 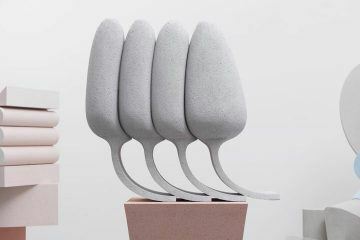 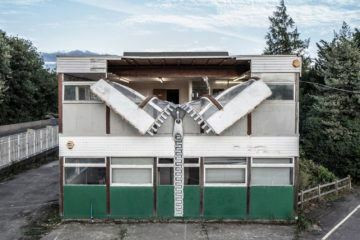 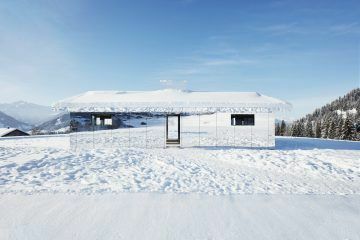 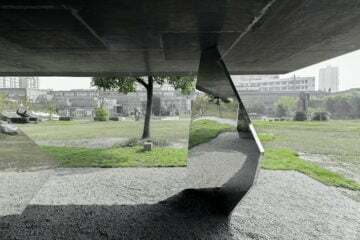 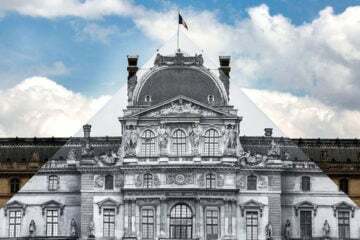 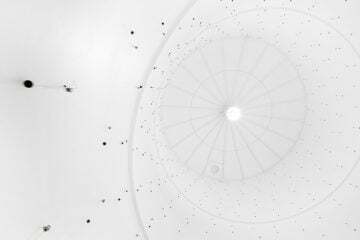 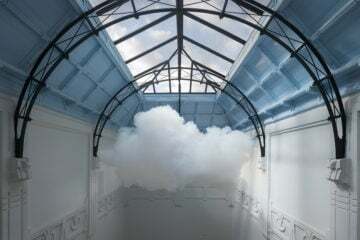 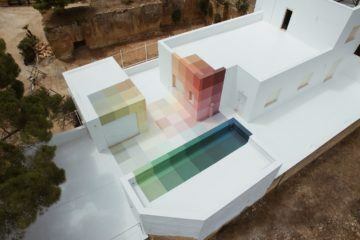 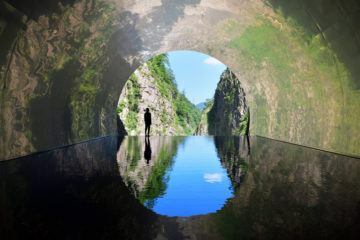 Constructed from styrofoam, white painted plywood, and plexiglass, the piece is certainly lighter than the 1930 concrete original in Poissy, France. 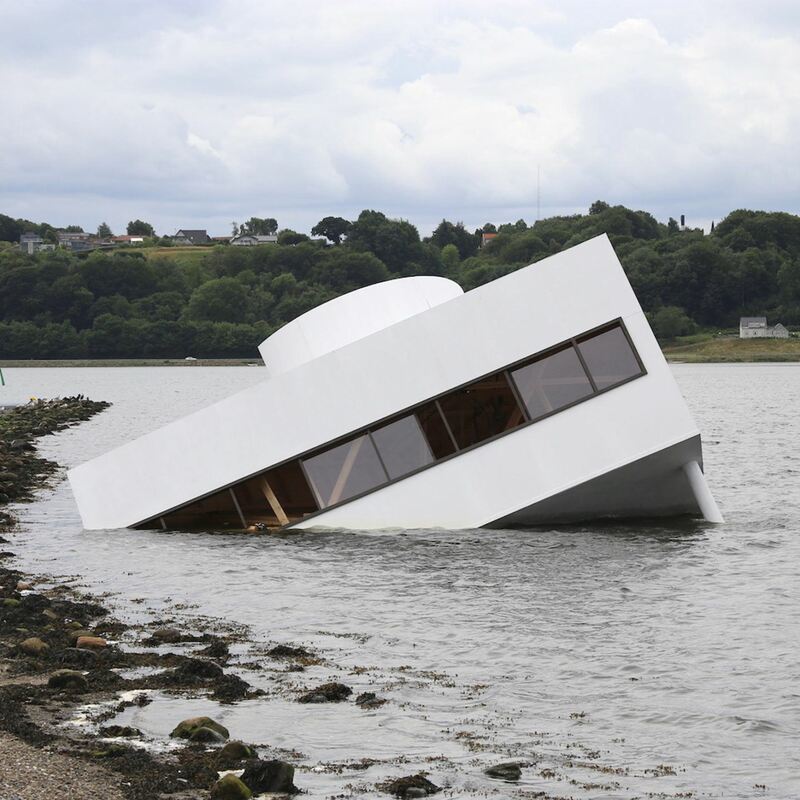 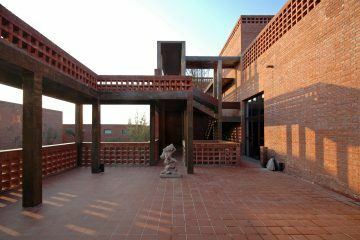 Villa Savoye is considered as one of Le Corbusier’s most significant works, its construction heralding an age of modernism and an optimistic end to ornamentation.